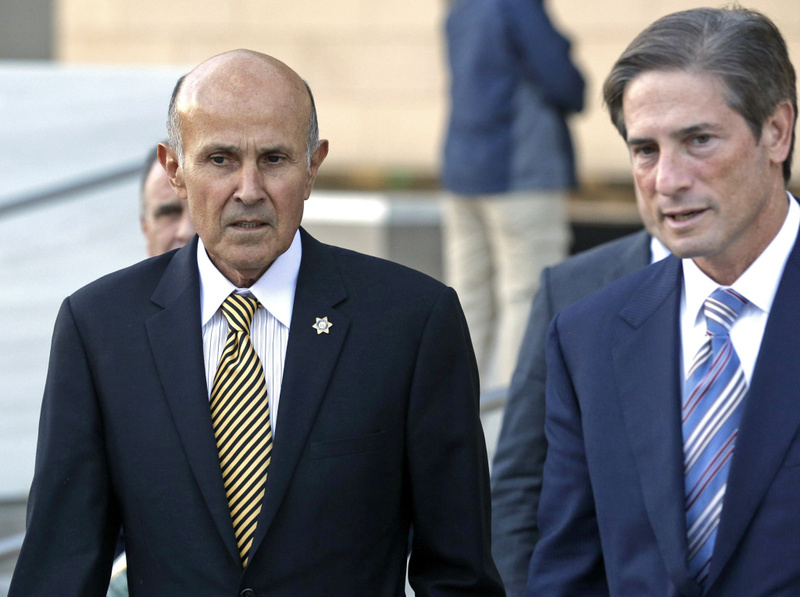 Former Los Angeles County Sheriff Lee Baca, left, and his attorney Nathan Hochman leave federal court in Los Angeles, Monday, Dec. 19, 2016, after the prosecution and defense presented their closing arguments and the case went to the jury. The longtime lawman is charged with conspiracy and obstruction of justice for acts his subordinates carried out in August and September 2011, when his deputies discovered an inmate with a smuggled cellphone was an FBI informant using the device to document abuses. The jury hearing the federal conspiracy and obstruction of justice case against former Los Angeles County Sheriff Lee Baca has hopelessly deadlocked -- and told lawyers they split 11-1 in favor of acquittal. The mistrial leaves prosecutors with the difficult decision of whether to retry the case and again attempt to prove a jail abuse cover-up went all the way to the top of the nation's largest sheriff's department. The conspiracy and obstruction charges carry up to 15 years in prison. Additional allegations that he lied to federal investigators over the course of the same investigation had already been set for a separate trial. The split is a blow to federal prosecutors, who had announced in February that they'd struck a deal with Baca. He had agreed to plead guilty to a lesser charge of making false statements in exchange for a six month prison sentence. But U.S. District Judge Percy Anderson rejected the agreement as too lenient and Baca chose to take the matter to trail, rather than allow Anderson to decide his sentence. On Thursday, the six-woman, six-man panel told Anderson they simply couldn't reach a unanimous decision. Anderson declared a mistrial and dismissed the jury. “I want to you thank you for your service,” he told them. He estimated the jurors spent more than 24 hours over the course of four days wrestling with the case. Anderson said the evidence was “complex”, especially when it came to determining Baca's intent. He never took the witness stand. Outside court, Baca thanked jurors. “They took extraordinarily to heart” their duties, Baca said of the 11 jurors who favored his acquittal. He said nothing of the one who wanted to convict him. The former sheriff then became nostalgic, recalling why he joined the Sheriff’s Department in 1965. The prosecution of the former sheriff stemmed from an FBI civil rights investigation into inmate abuse at Men’s Central Jail — and the sheriff department's alleged attempts to thwart the investigation. Sheriff's deputies blocked the FBI from communicating with an informant in the jails and tried to intimidate a lead federal agent. 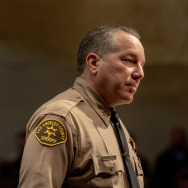 More than a dozen officials and deputies were swept up in the scheme – the “heartbeat” of which, prosecutors said during the eight-day trial, was the sheriff himself. "It is indeed a sad day when a leader of a law enforcement agency fails to honor his oath and instead of upholding justice chooses to obstruct it," said United States Attorney Eileen M. Decker at a press conference earlier this year when discussing Baca’s alleged involvement. Prosecutors declined to talked to reporters after the mistrial was declared Thursday. Former Los Angeles County Sheriff Lee Baca, left, his attorney Nathan Hochman, center, and Baca's wife Carol leave federal court in Los Angeles, Monday, Dec. 19, 2016, after the prosecution and defense presented their closing arguments and the case went to the jury. During the trial, Baca’s defense attorney said prosecutors distorted the former sheriff's intentions. As L.A.'s top law enforcement official, Baca sought to work alongside the federal investigators, the defense said, and worried the FBI’s tactics put the safety of their informant and the county jails at risk. During his 15-year career as sheriff, Baca stood among the nation's most powerful law enforcement leaders. As indictments began being handed down for inmate abuse, Baca retired in 2014, choosing not to seek a fifth term as sheriff. He had spent 48 years at the Los Angeles County Sheriff's Department. In his statements to reporters Thursday, Baca took a shot at the ACLU, which had documented many of the complaints by inmates of brutality. Peter Eliasberg, chief counsel of the ACLU of Southern California, shot back in a written statement: "The jury’s inability to reach a verdict in the trial of former L.A. County Sheriff Lee Baca in no way absolves the sheriff’s department or the board of supervisors of their dismissals of years of warnings from the ACLU that corrupt deputies engaged in a systemic pattern of physical abuse of inmates in the county jails." Though he acknowledged the county has "taken positive steps", Eliasberg said he thinks the jail system is still "broken." Asked Thursday about the dozens of inmates severely beaten by his deputies under his watch, and his failure to stop the abuses, Baca said he couldn’t be everywhere all the time. His attorney jumped in and said Baca had recognized the problem and was taking steps to reduce force in the jails by the time the FBI investigation was under way. 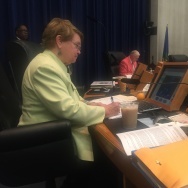 Federal investigators began looking into L.A. County's Men's Central Jail in 2010 after an outcry from the ACLU and other civil rights advocates, who complained deputies were beating inmates, including those in handcuffs. Around that time, the FBI received a handwritten letter from an inmate whose name remains a secret. The letter told of deputies indiscriminately beating people up at Men’s Central Jail and Twin Towers, which together hold about 8,000 inmates. Sheriff's internal watchdogs had long dismissed allegations of abuse as without merit and produced cookie-cutter reports, prosecutor Brandon Fox told jurors during the trial. The culture under Sheriff Baca, he said, protected "dirty deputies." Baca learned of the FBI's investigation after federal agents recruited an inmate to be their confidential informant and smuggled a cell phone to him so he could document inmate beatings as they happened. When deputies discovered that phone and traced it to the FBI, Baca was furious, according to deputies who testified against him at trial. One of Baca's top commanders at the time, Cecil Rhambo recalled Baca asking him,"“Why couldn’t we work cooperatively? "And I just had to tell him,” Rhambo added, "because we were the suspects." The sheriff's department then tried to turn the tables on the FBI, opening an investigation of its own. Baca believed the FBI had put his jails at risk by smuggling in a phone. The main suspect in the sheriff's department's case was the sting's organizer - an FBI agent. Deputies put the agent, Leah Marx, under surveillance and at one point showed up at her house and threatened her with arrest. That prompted the Justice Department to pursue an obstruction of justice investigation against the sheriff's department. Nine individuals have since been convicted or pleaded guilty for their roles in the scheme, including Baca's second-in-command, Paul Tanaka. Baca had agreed to be the tenth — until Anderson refused to accept the deal. During this month's trial, prosecutors argued Baca not only knew the intent of the scheme to block the FBI, but ordered his subordinates to carry it out. 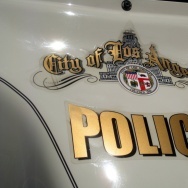 In an effort to tie him to the incident at the FBI agent's home, prosecutors subpoenaed a former Los Angeles Times reporter, Robert Faturechi, who interviewed Baca shortly after the incident took place in 2011. Faturechi testified that Baca told him that he knew his deputies were going to approach the agent. Prosecutors asked Faturechi if Baca directed them to her home. "That he did," Faturechi said. During deliberations, the jury sent the judge a request to hear the journalist's testimony read back. They also had a question for the judge: Was it illegal for deputies to approach the agent? Anderson responded it was for them to decide. The government does not need to prove the primary purpose of the act was to obstruct justice, Anderson said, but it must be a "substantial" reason. On cross examination from the defense, Faturechi said in his interview Baca denied that he intended the agents to intimidate agent Marx. Baca's attorneys also presented jurors with a series of character witnesses, who said Baca ushered in reforms at the department and always upheld the law. Baca is in the early stages of Alzheimer's disease. His defense attorneys argue that his cognitive ability may have been in decline years ago when he allegedly made false statements to the government. Baca allegedly told FBI agents he didn’t know about federal investigation or that his deputies were trying to stop it. 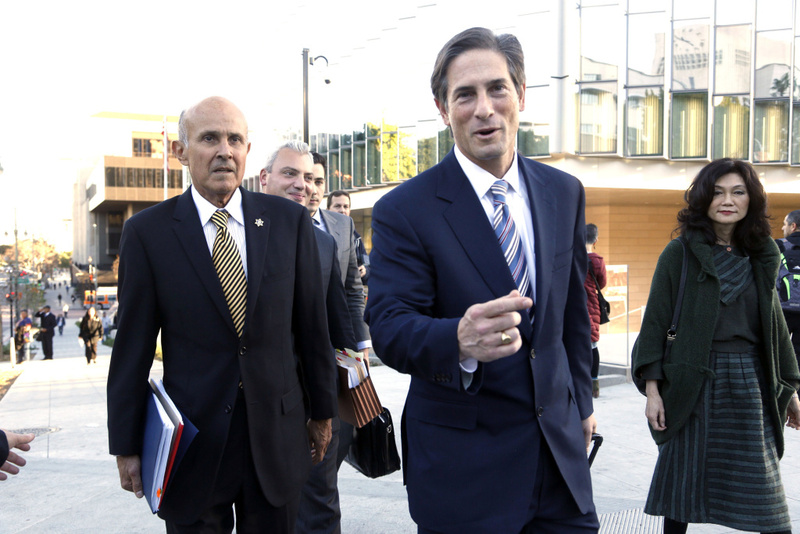 Prosecutors had convinced Anderson to allow them to try Baca separately on this charge so that testimony about his medical condition wouldn't influence the jury's judgment on the conspiracy and obstruction of justice charges.